World Meningitis Day falls at the end of April, which means there’s no better time to equip yourself with knowledge on this deadly disease. Research shows that one in five 16 to 25-year-olds either don’t realise or aren’t sure you can die from meningitis, and two in five don’t know you can lose a limb as a result of contracting the disease. As a result, a new social media campaign called #24youhavethepower has been launched to make young people more aware of how deadly meningitis can be, and the importance of being vigilant about its symptoms. The campaign, launched by Pfizer, has enlisted several high-profile influencers, including Al Ferguson of The Dad Network, Mollie Bylett of Where’s Mollie? and vlogger and Instagrammer Josh Zerker to help spread the message to young people, many of whom consume their news through social media. “Although social media should be taken with a pinch of salt at times, it’s also providing an invaluable platform to spread very important messages, with extensive and instant reach,” says Bylett. Even if you aren’t following YouTube and Instagram’s brightest stars, it’s never too early (or late) to brush up on your health knowledge to keep yourself and your family safe. Here are some key facts that everyone should know about this potentially deadly infection. So what exactly is meningitis? 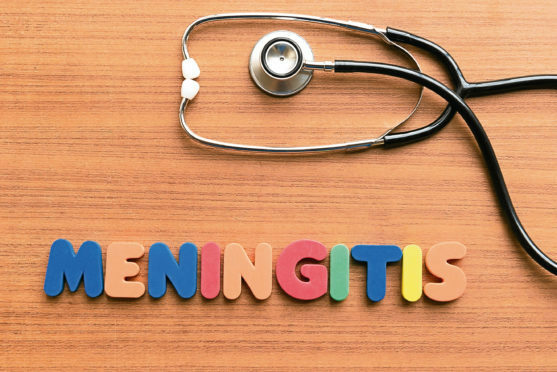 Meningitis is inflammation of the membranes that surround and protect the brain and spinal cord, and some bacteria that cause the infection can also cause sepsis (blood poisoning). While anyone can get meningitis, certain groups are more at risk, including young children under the age of five, and young adults in the 15-24 age group. The disease can kill within just 24 hours of the first symptoms appearing, which is why Pfizer’s campaign uses the hashtag #24youhavethepower. Meningitis and septicaemia often happen together, and it’s vital to be aware of all the symptoms. Early signs are often similar to flu and other viruses, resulting in a fever, headache, vomiting and limb pain. Pale, blotchy skin and a rash of tiny pinprick spots, which can develop into purple bruising. How can I check for it? To check whether a rash may be caused by septicaemia (blood poisoning caused by meningitis), experts suggest taking the glass test. You can do this by simply pressing the side of a clear glass firmly against the skin. A fever with spots that don’t fade under pressure (or a rash) is a medical emergency. Meningitis Now warns not to wait for a rash, as one doesn’t always appear when a person has meningitis. If a person is displaying the symptoms, get medical help immediately – even if you can’t see a rash. The two most common causes of the disease are viruses and bacteria. Bacterial meningitis is usually more serious than the viral form, and 10% of bacterial cases result in death. A third of those who survive are left with life-changing injuries which can include brain damage, hearing and sight loss, and where septicaemia has occurred, loss of limbs and scarring. The most common form of bacterial meningitis in children and young adults is meningococcal, which is caused by bacteria carried in the throats of one in five adolescents. People normally carry the bacteria without it causing serious health issues, but for reasons not fully understood, it can sometimes attack the body’s defences, allowing infection to spread through the bloodstream to the brain, causing meningitis. The bacteria that causes meningitis can be spread through common adolescent behaviour such as communal living and kissing, and health experts have warned that university freshers are particularly at risk, because they mix with other students and often live in close proximity. Although death rates from the disease are higher for teenagers and young adults, vaccines are available to give protection against some forms of the disease. There’s no single vaccine that helps protect against all the bacteria that can cause meningitis, but currently in the UK, infants are offered a Men B and Hib/Men C vaccine, while adolescents and young adults are offered a Men ACWY vaccine as part of the routine immunisation schedule.